MOSCOW. 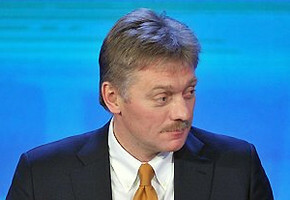 Feb 12 (Interfax) – Kremlin spokesman Dmitry Peskov has said he doubts that President Vladimir Putin will react to the article by Vladislav Surkov that was published on Monday, considering that he is busy preparing to deliver the address to the Federal Assembly. “I do not think so; a lot of articles [are being published]. You must agree that the chief of state is prioritizing preparations for [his address] to the Federal Assembly. This is exactly what he has been doing,” Peskov told the press. According to Peskov, the president has been informed about Surkov’s article but he does not know whether Putin has had a chance to read it.